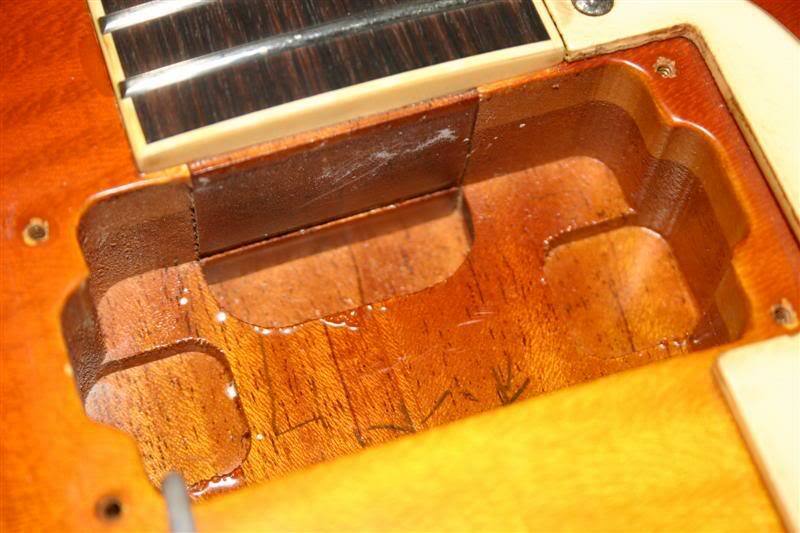 This Tokai Les Paul came in requiring a fret dress to remove 10 years of playing wear. This is LS75F a Japanese model made specifically for the UK market. 24 pcs were made circa 2002. 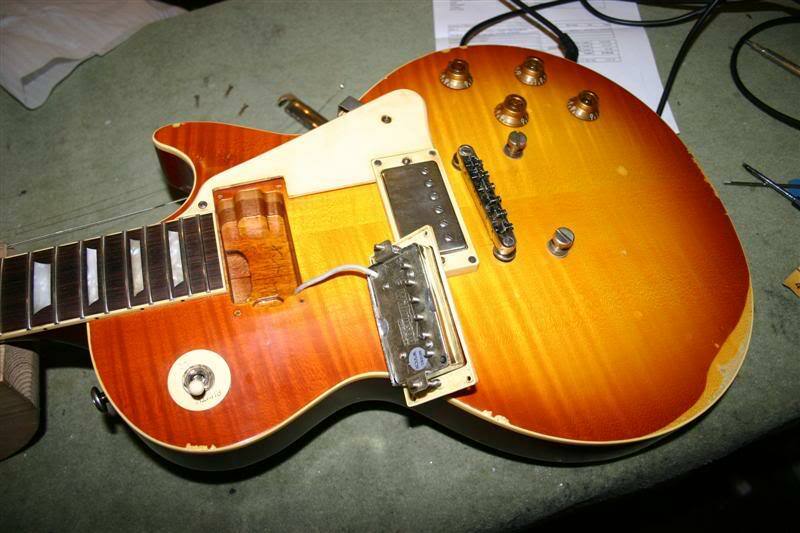 A very nice clone of a ’59 Gibson Les Paul. 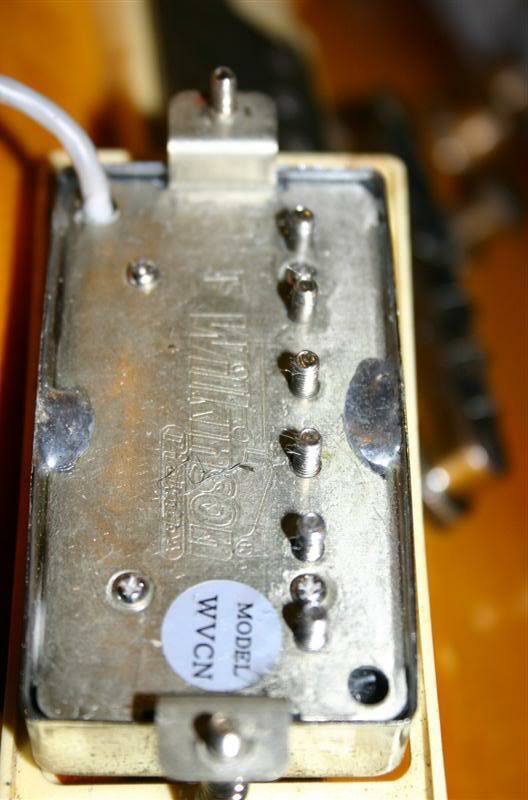 The guitar was advertised as having a solid maple top – and it does. 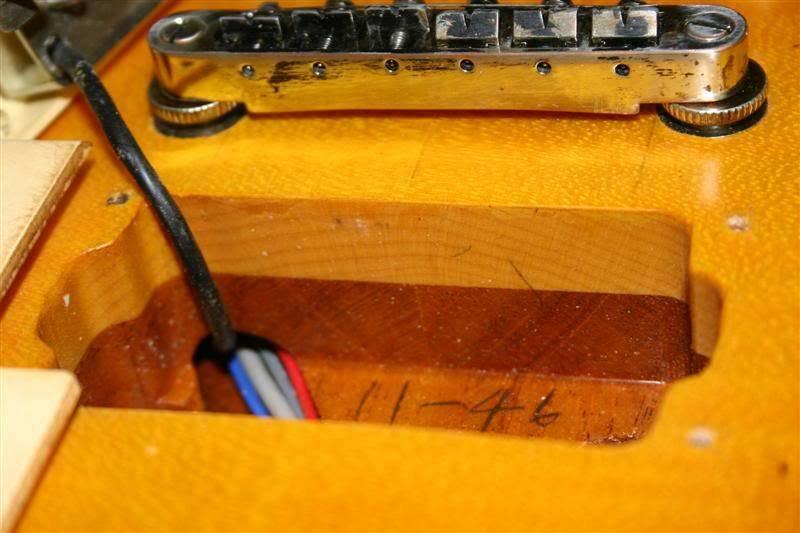 Traditionally Les Pauls have a book-matched flamed maple top (two pieces split) sitting on a mahogany body. 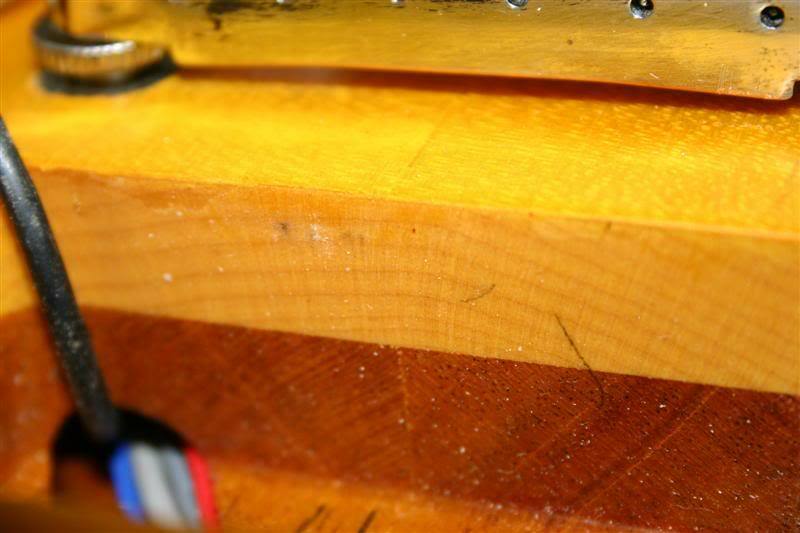 The balance of maple-to-mahogany thickness and ratio is important to get that classic Les Paul sound. On closure inspection of this maple top the centre line of the flame does not match the maple cap under it. The flame is actually a veneer on top of the plainsawn maple cap. Sawmills create plainsawn lumber by cutting a log lengthwise with a series of parallel cuts. 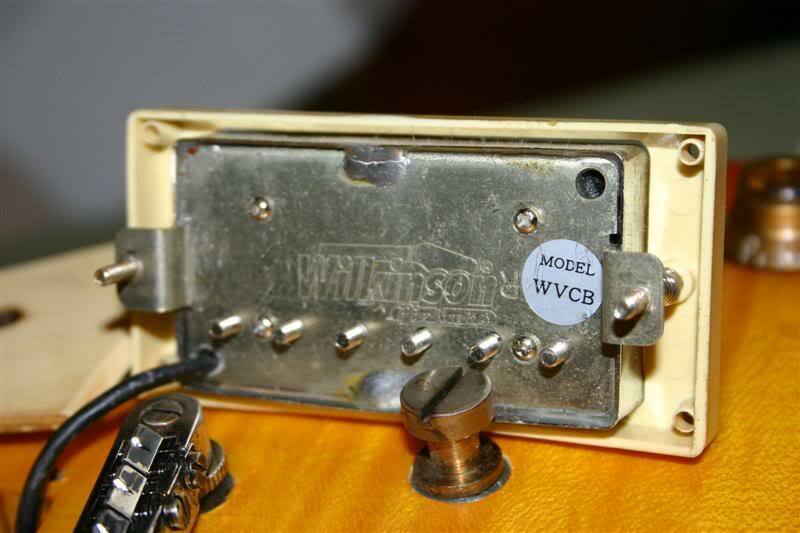 This system provides excellent yield because it minimizes scrap, but plainsawn wood does not provide the kind of flamed top seen classic Les Paul models. A pretty veneer cover is a good way for manufacturers to save money. Whether it has a negative effect on the sound is debatable.